I am normally home in NY this time of year, enjoying the cold, sometime the snow but most of all the food. One of the things I miss the most, the simple but so delightful Deli. Those of you who have had this N Y Deli experience know exactly what I am referencing. 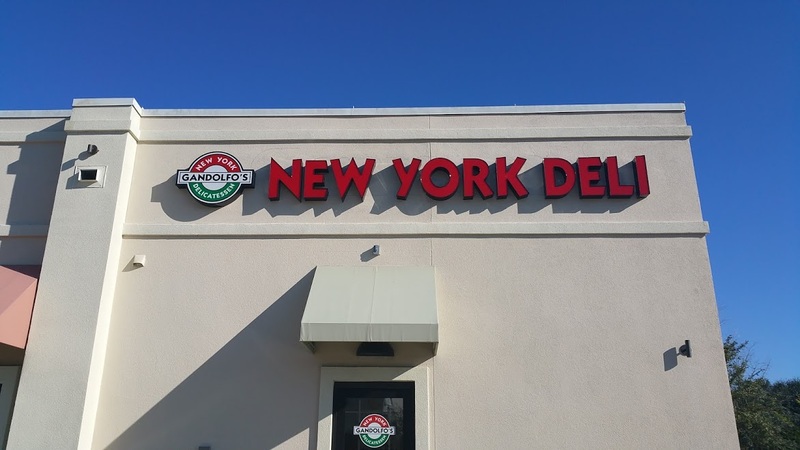 When I spotted the sign for Gandolfo’s New Your Deli, the urge hit me. Ruben, Chicken Livers, Tongue, well perhaps not Tongue. So I stopped in to see how NY Deli it really was. Not even close. It is so stark, and uncluttered, no wonderful aromas of yet to be identified, meats and fishes. Where are the giant cheesecakes, bagles? I did not see one White fish or Lox no giant pickles or grumpy old men running around carting 10 plates of food on their arms. What I did see was a chalk board of wonderful sounding sandwiches, that kept me there. Sandwitches listed here, just line up and order. Nice interior, see how tidy. There really is a marvelous selection of combinations and single meat sandwiches.. It was impressive, and difficult to decide. 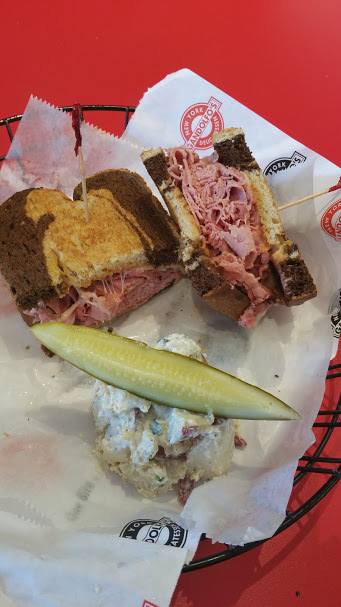 I finally settled on Corned Beef and Pastrami combo with Russian dressing , side of Potato salad. 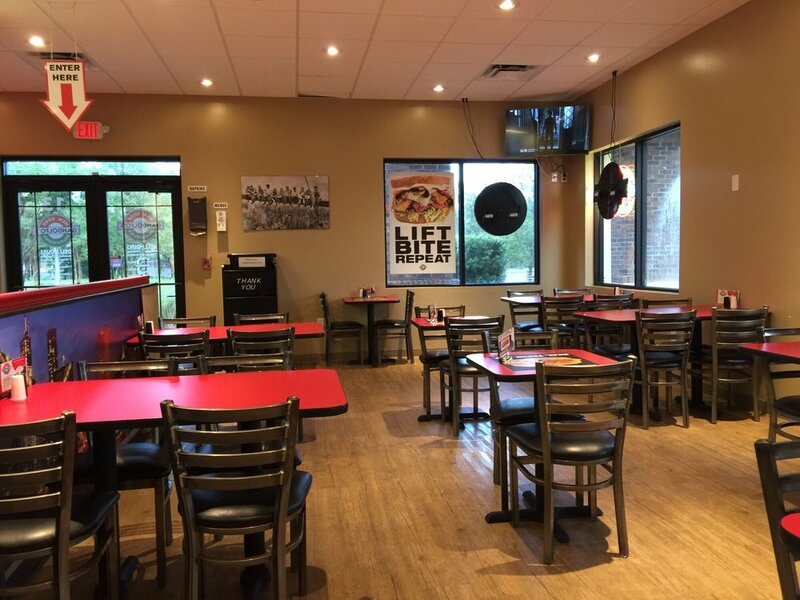 Once you order take a seat and the food will be delivered. I took my cup got my drink,and dreamed of giant new dill pickles while I waited. The same young man who took my order and made my sandwich delivered the finished product. I have long ago reconciled my self to never expect a real NY deli sandwich so when the food arrived, and it was a little larger than expected, a nice gift I was not disappointed. The marble rye bread was thick sliced and looked nothing like commercial sandwich shop bread, nor did it taste like it. This bread was wonderful. Moist flavorful, yeasty, a bit of crisp on the crust. Now the Corned Beef and Pastrami was well I really don’t know what it was. In my world these meats are two distinct colors, not in this shop. Both meats looked exactly the same. I made the executive decision it was only a one meat sandwich, corned beef, and proceed to eat. The meat was so well spiced it really did have a wonderful flavor, tender, not stringy but also not fatty, which is one of the beauties of corned beef. Generous amount of Russian added to the bliss factor. Potato salad, nicely salted, not overloaded with mayo, great baby reds, with skins on. I’m loving it. The pickle is a disappointment, I can buy giant new dills in a jar at my local supermarket, this was not it. 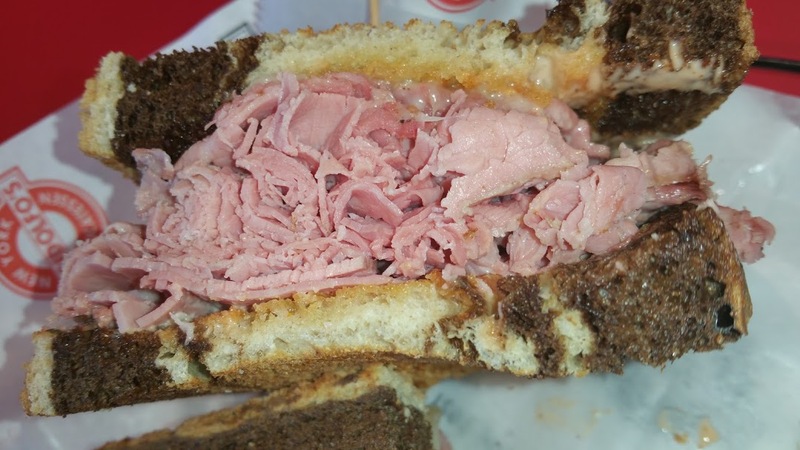 Does this look liked Corned Beef? Jacksonville, has a respectable number of very fine restaurants, why someone can not bring a decent deli to the area is a mystery to me. I wonder how many people would welcome a Katz’s or 2nd Ave Deli? That will probably remain unanswered. 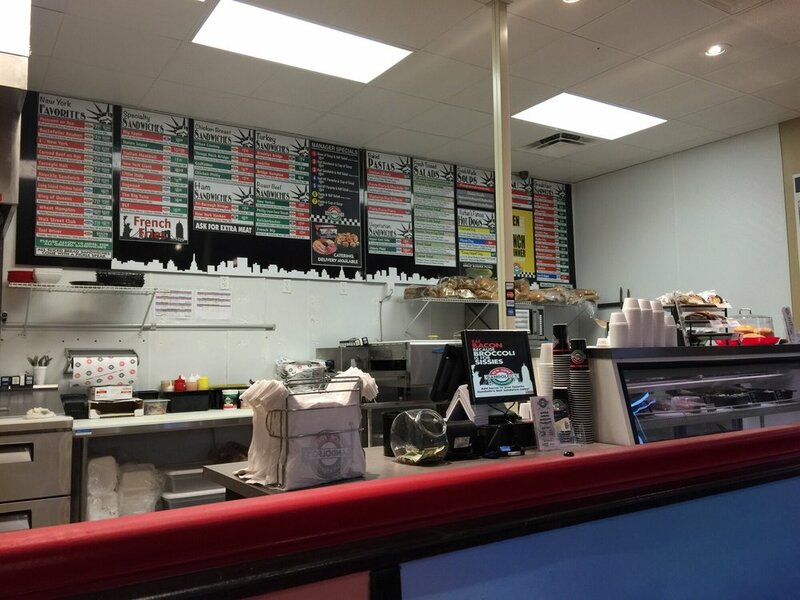 This is a great little spot to catch a nice variety of good sized sandwiches with some very tasty sides. N Y deli it’s not but next time I’m in the area I will go in a pretend it is. I went here today for the first time. It was delicious! Glad to hear you enjoyed your visit. Thanks for reading the blog.